Earn points while you shop, Points = £ for you to spend! We want to reward you for being loyal, loyalty is hard to come by that's why you deserve a reward on us! You can earn loyalty reward points from purchasing anything in store, loyalty points convert to £ which you can then spend in store. Redeem your points on any item in store! You will automatically be enrolled on account sign up so no need to worry if you are in the rewards scheme or not! Extra ways to gain points! 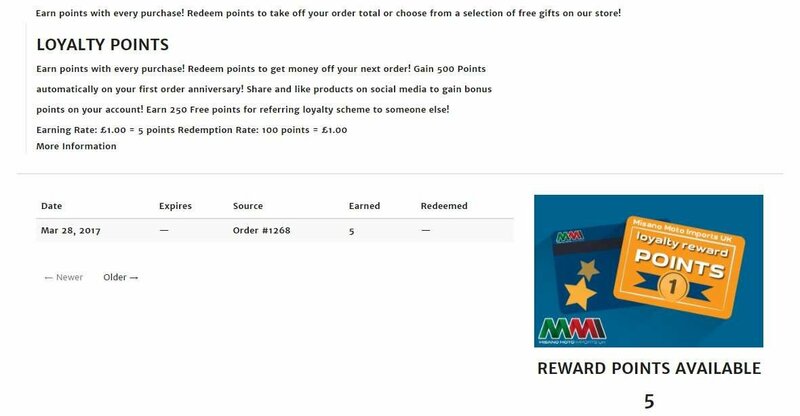 Gain 500 Points automatically on your first order anniversary! You must create an account to avail of the loyalty points rewards scheme as it helps you keep track of your points so you know what you have to spend! 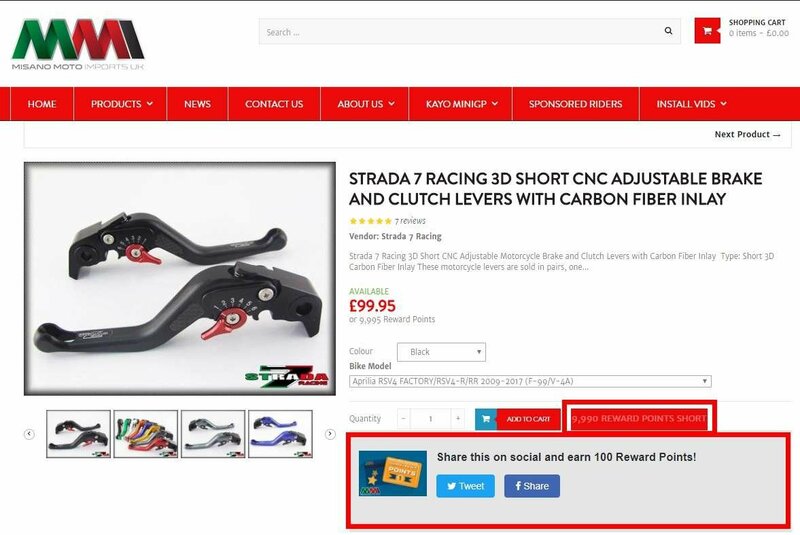 Register here now https://misanomotoimports.co.uk/account/register and start earning!